While many may have taken the Labor Day holiday weekend to relax and spend time with family, others spent some of this time to earn a hard-fought win in the dirt. 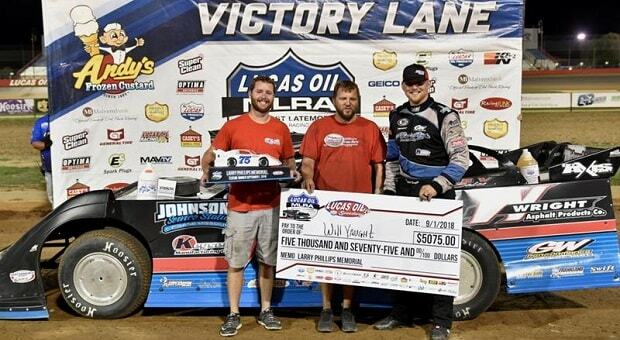 After once again rolling into Wheatland, Missouri’s Lucas Oil Speedway on Saturday night, Crane, Missouri’s own Will Vaught captured the Lucas Oil Midwest Latemodel Racing Association (MLRA) Larry Phillips Memorial race presented by Rugged Radios. Hot off a win at Lee County Speedway, on Friday, Vaught gained his fourth feature triumph in the last five series events after pulling away from second heat race winner Chad Simpson during the last 10 laps to capture the win in a race that pays tribute to the late Larry Phillips, the iconic Missouri short-track champion who died in 2004. 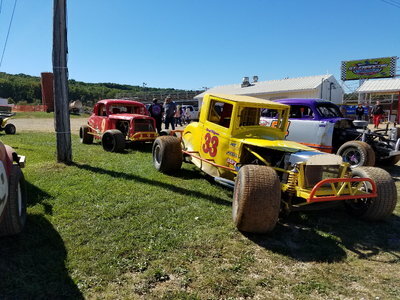 The driver who also won this legendary race just two short years ago, started on the pole for Saturday’s race and led the opening lap before outside front-row starter Dave Eckrich wrestled away the lead the next time around. After a continued battle between the two talented late model drivers, Vaught took the lead with an outside pass coming out of turn four to complete lap 10. After, opening up a half-straightaway-margin lead with MLRA points leader Chad Simpson following in a close second, the caution flag flew on Lap 35. On Lap 37, Simpson drove his way to a race lead after yet another caution, but Vaught used a slider in turn four to regain the lead two laps later and never looked back for the race win. 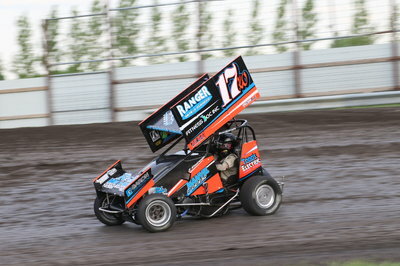 Stay tuned to RacingJunk.com for this and all your down in the dirt racing coverage.